Phenomenon by which, given favorable conditions, a seed will develop and grow into a plant. First leaf, formed inside the seed; it provides vital food for the seedling, then withers and falls shortly after germination. 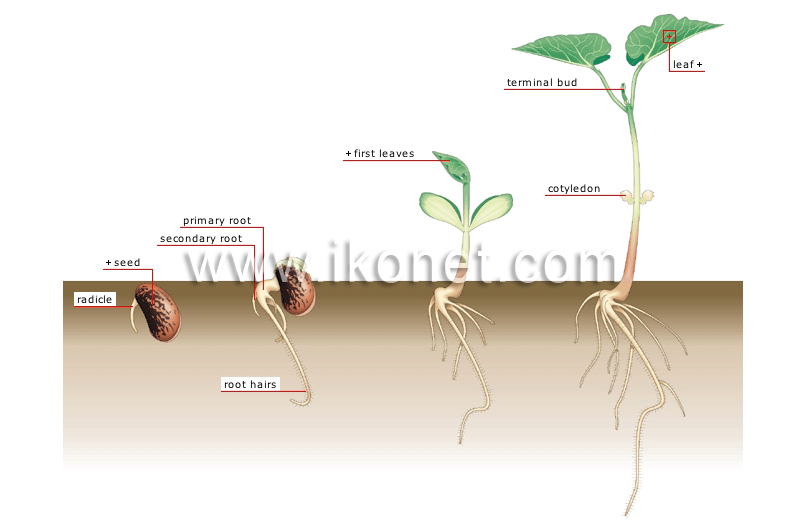 Root that emerges as the radicle develops; many secondary offshoots rapidly grow out of it. First root produced by the seed; it quickly breaks through the seed coat and grows downward into the soil.